The U.S. Consumer Financial Protection Bureau will propose to limit overdraft charges on prepaid debit cards and require more disclosure from issuers about all fees they charge, a person familiar with the matter said. The market size for prepaid debit cards has nearly doubled to an estimated $80 billion since the CFPB began reviewing the products after the initial criticism that transaction fees on some products were too high. The competition in the prepaid marketplace has driven lower fees over the past four years. The person familiar with the proposal told Bloomberg that it could come in early November and won’t include broad restrictions on transaction fees. CFPB officials have been studying the prepaid market since 2010, when cards including one issued by reality TV stars the Kardashian sisters were charging as much as $1.50 for withdrawals or for speaking with a customer service. Such fees became rarer after increased competition from new market entrants. According to Madeline Aufseeser, senior analyst with the Aite Group, a Boston-based consultancy, these cards have risen in popularity. In 2010, consumers had about $37 billion loaded onto prepaid cards, a number that is expected to rise to nearly $80 billion by the end of this year. To read the complete story from Bloomberg, click here. With more consolidation and saturation in key niches of the marketplace, it's never been more important for prepaid to continue to drive new growth and unearth new business opportunities. 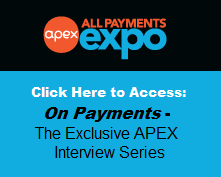 To support prepaid players, that is why at All Payments Expo 2015, we've created the Prepaid Forum, a dedicated forum focused on relevant and important content for the prepaid industry. 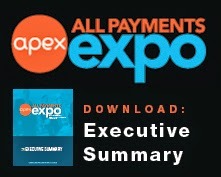 Click here to view the updated event brochure. Make sure you join us this February 23-25 at the Caesars Palace in Las Vegas - As a blog reader, use the code XU2848BLOG when you register and save $100 off the current rate | Register Here.